Phillip Henson is Senior Product Manager responsible for Abaco’s FPGA and DSP product lines as well as Mission Ready Systems. 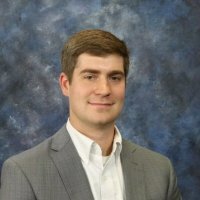 With a master’s degree in electrical engineering from Auburn University and currently undertaking an MBA from Vanderbilt University, his career has seen him with assignments at the DoD’s Missile Defense Agency and at Dynetics before joining Abaco in November 2016. Phillip Henson finds himself at DFW where his thoughts turn to the importance of time and timing - and Abaco's latest product. Achieving the necessary synchronization across multiple channels in an electronic warfare systems is a key first step in development - but it can be a lengthy process. Now, it doesn't need to be. In the second part of this post, we look at where the FMC market currently stands, and the developments we may see in the future. In the first of two posts, we look at the thinking behind the development of FPGA Mezzanine Card - FMC - technology, and where it has brought us to. We recently announced that innovative cooling means that our SBC347D 3U VPX single board computer can operate at maximum speed even at temperatures as high as 75°C. However, as Phillip Henson points out, it’s not only our board level customers who benefit. Not just innovation: efficient innovation! As we announce the first two systems based on Abaco's uniquely innovative Lightning platform - the MCS1000 and GVC2000 - Phillip Henson muses on the parallels between his quest to balance the needs of his MBA studies on the one hand and being product manager for the Lightning platform on the other.